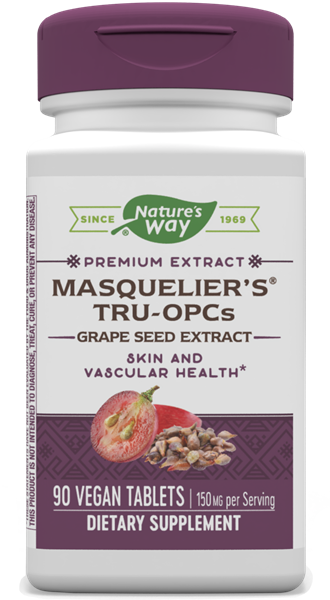 Tru-OPCs™ 75 mg / 90 Tabs - Nature's Way®. Tru-OPCs™ contain the combination of monomers and oligomers isolated by Dr. Jack Masquelier™. Take 2 tablets one to two times daily. Caution: If you are pregnant, nursing, have a blood clotting disorder or are taking any medications, consult a healthcare professional before use.